Right…so, in a further attempt to “shake it up” in the studio, get loose and unwind, I spent some time creating a wicked playlist of boogie music. I’m a firm believer that painting with all your body, heart and soul is the best way to get those emotions down in paint. Lots of the time, I choose more classical pieces, but from time to time, I really need to get moving. 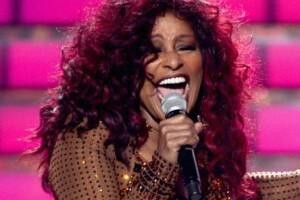 Chaka Khan….We feel for you! However…I must say, the mood in the household has picked up and everyone is going around doing “the bump” and dancing through the day. (Kevin is even cleaning out the garage.) Grace was even singing “Chaka Khan….I feel for you…..” all over the house. Ah…she’s her mother’s daughter, after all. Well, I have to say it’s really “moving me” in more than one way. I’m finding myself dancing to the music and the works and they’re coming a lot easier. Kinetically speaking, shaking your booty while you’re working is good not just for the figure…but for the figurative! It seems to move the work along quicker, make the brushstrokes a lot more emotive and physical. Using a large brush can help that loosey-goosey approach too. I’m finding I’m looking for the biggest brushes I can get at my hardware store. Here’s part of the eclectic “shake it up” playlist. Maybe it will help you too! Let the music (and the visual art) fill your soul.